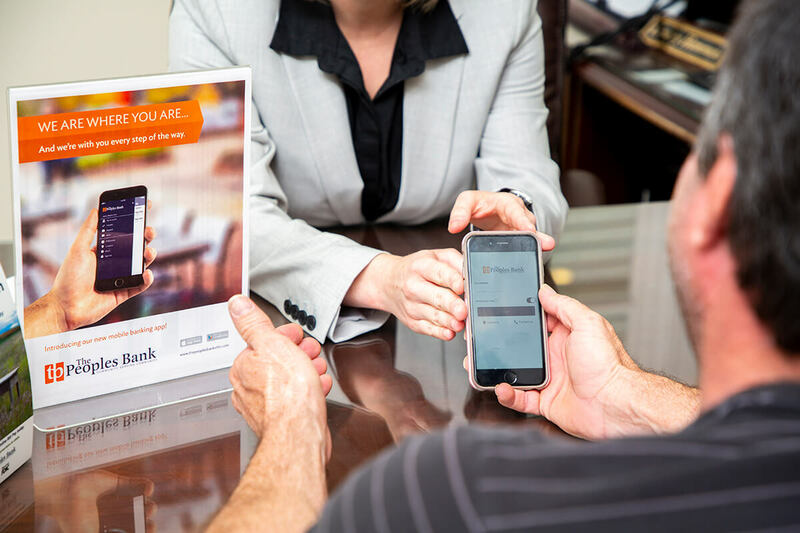 The Peoples Bank mobile banking app is available in the Google Play Store and on iTunes. To download our app, search for "The Peoples Bank of TN" in your app store and look for our logo. Once you have downloaded the app, you may login to your Netteller account and Enable Web Access for your mobile device. You must have a Netteller account in order to use the app. You can choose which accounts you would like to add to mobile banking. Once you have completed these steps, you will be able to login to the app with your Netteller credentials. You will have the option of Text Mobile Banking. This is a text messaging feature rather than a web based feature. You can sign up for this feature to have your balance and your most recent three transactions sent to you via text message. Pay your bills online and all in one place. Pay your bills anywhere and anytime. Verify your account balance as you pay your bills. Track your payment history and follow all of your transactions in real time. Add the people and companies you want to pay quickly, then send payments with a simple click. Guard against identity theft from lost or stolen checks and bills by paying your bills online instead of through unsecured mail.